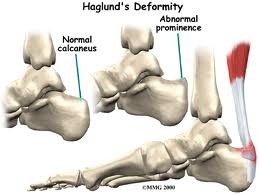 Haglund’s deformity is often called “pump bump” because the rigid backs of pump-style shoes can create pressure that aggravates the enlargement when walking. In fact, any shoes with a rigid back, such as ice skates, men’s dress shoes, or women’s pumps, can cause this irritation.To some extent, heredity plays a role in Haglund’s deformity. 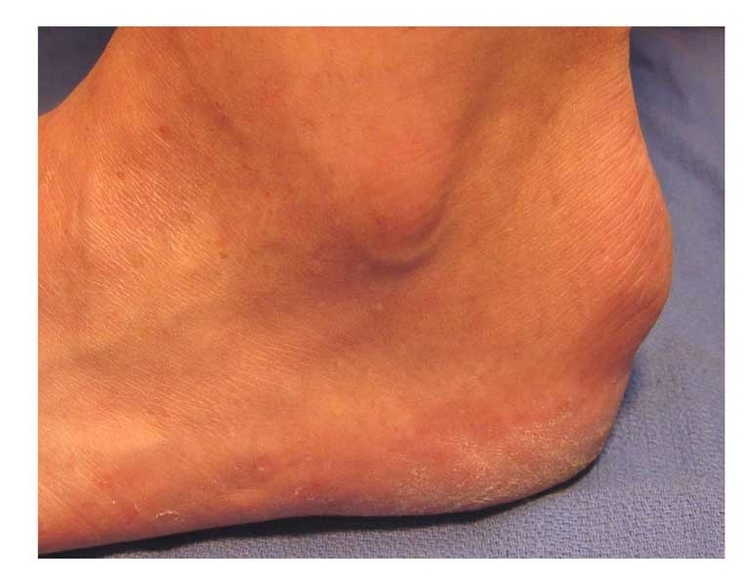 Inherited foot structures that can make one prone to developing this condition include:A high-arched footA tight Achilles tendonA tendency to walk on the outside of the heel.